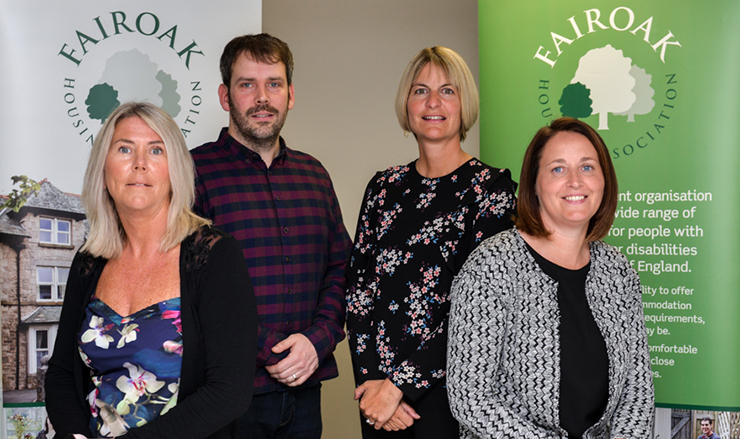 Fairoak Housing Association are a small team of dedicated people working closely together to provide the best possible service for our tenants. Lisa has worked for Fairoak since January 2014. She is a member of the Chartered Institute of Housing and has extensive experience from working in a variety of housing and support settings for over 25 years. Sharon manages Fairoak’s budgets and accounts. She has worked for Fairoak since August 2015 and has worked in finance for over 30 years. Matthew has an Institute of Housing qualification and has many years experience of working with and supporting adults with a learning disability. Kate has a Social Work qualification and has experience of working with and supporting vulnerable adults. Kate works alongside Matthew to manage repairs and maintenance issues and support tenants with any problems that may arise and assist them to manage their tenancy. There are currently no vacancies at Fairoak Housing Association. Fairoak Housing Association offer rewarding career opportunities for enthusiastic and motivated individuals who are committed to supporting disabled and disadvantaged people in our community.